Please note that you have been automatically redirected to the Amscan.co.uk website, as the travis.co.uk website is no longer active. Travis Designs is now part of the Amscan family of companies, offering you an unrivalled choice of over 12,000 fancy dress, party and balloon products. 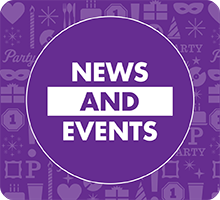 Known as The One Stop Party Shop, Amscan provide retailers with the latest trends and innovations in the market. 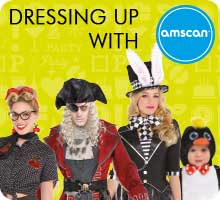 As part of their offering Amscan supply the complete Dress up by Design, Disney Baby and Disney Boutique collections, plus an extensive variety of other fancy dress and party items, including both licensed and generic styles. You can now order Travis products through the Amscan International website, as well as having access to the complete Amscan product portfolio. If you do not yet have an Amscan trade account, please get in touch with our customer services team via the contact details below who will be able to set an account up for you. The minimum order is only £150 and all orders received by 12 noon will be sent out next day. It has been decided that the Direct Despatch service (direct to consumer) will no longer be available for any products. 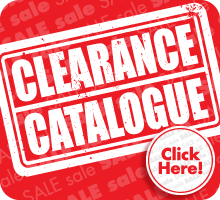 As the minimum stock order is now only £150, we do not feel that this will be an issue for our regular trade customers. 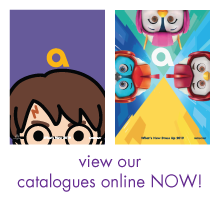 If you have any further queries please do not hesitate to get in contact with our customer services team by calling 01908 288534 or email sales@amscan-uk.co.uk.